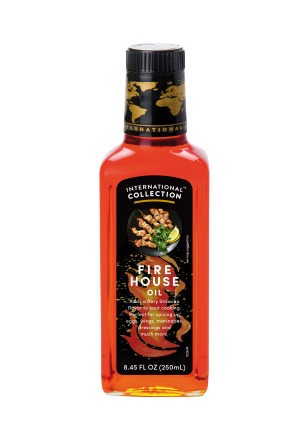 Add an enticing smoky flavor to any dish with this natural, gourmet SmokeHouse oil. Ideal for vegetables, meats, fries and salads, it’s the simplest way to bring the ambience of the outdoor grill to your recipes. Add a splash to grilled fruits for an intense flavor, drizzle over fish, glaze griddled eggplant or stir into hummus or baba ganoush for a deliciously different taste. 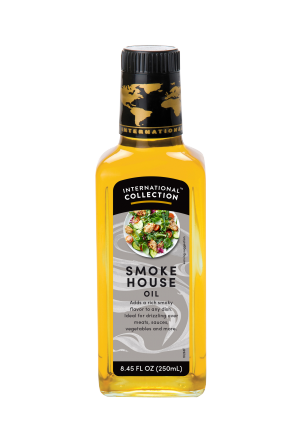 SmokeHouse oil, made with heart-healthy canola, is also sensational as a dip for olives or crusty bread, or as a cooking ingredient for sauces and soups.